Notes: Today’s shot is for Treasure Hunt Theme #55 – Ribbons. I raided the sewing box and arranged a few on the table. Notes: Against my better judgement, I ventured out of the house today for a lunchtime geocaching meetup and then took a little drive around to find some more. It was ridiculously hot, but it was good to get out of the house for a while. I spotted this lovely thistle, laden with pollen and just waiting for some bees to arrive, while I was walking between two caches near South Woodham Ferrers. 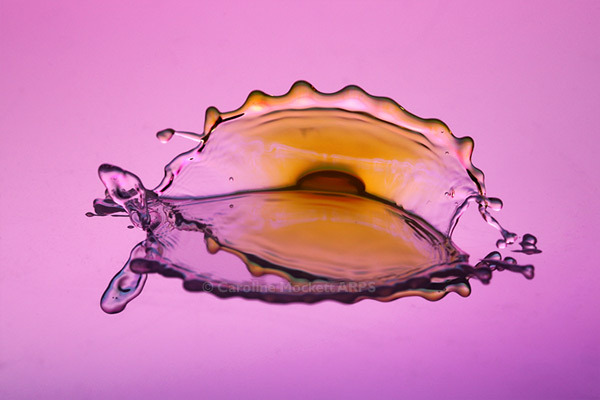 Notes: This one was made during a demo to East Ipswich Camera Club on High Speed Flash & Water Droplet photography. It is a crown which has been broken by the odd angle of the valve. I liked the asymmetry of it, and it works well for 52 Weeks 2018 – Topic 46, Broken.